New Port Richey, Florida offers stellar inshore, flats, backcountry, and tarpon fishing charters on the state’s Gulf coast. With expansive flats and a diverse backcountry system, this area is home to all of the Florida favorites. This includes snook, redfish, sea trout, tarpon, black drum, flounder, and many others. Much like Tampa Bay (and within close proximity), this fishery is fed by many creeks, rivers, and streams. Due to this, there is a thriving estuary system here that has become a permanent home to all of these species. What this means for you is excellent year-round fishing opportunities. 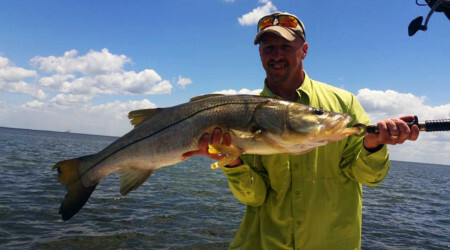 Southern Sportsmen Outdoors offers competitive pricing for our New Port Richey fishing charter offerings. See current rates (including info for half, 3/4, and full day trips) and details (what to bring, what to expect, etc) at the link below. 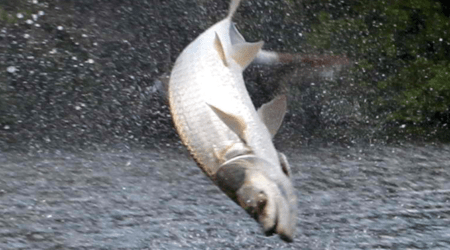 New Port Richey is one of the top places to fish for the major Tarpon run that happens seasonally here in Florida, as well as offering anglers the ability to target our resident Tarpon throughout most of the year. Along Florida’s Gulf coast, just north of Tampa, lies the inshore fishery of New Port Richey. Here anglers will enjoy targeting inshore fish species in areas such as Rocky Creek, Wigwam Creek, and Oyster Creek. These areas are made up of backcountry and inshore fishing area’s, that are broken up by oyster bars, grass flats, and deep channels. It is this mix of ecology that creates a spectacular inshore fishery and awesome year-round fishing. As an added bonus, sight fisherman will enjoy exploring the backwater channels and endless flats while targeting their chosen species. There is also a nearshore fishery that will allow for expanded targets such as grouper and snapper. New Port Richey is home to a rich fishery that is comprised of extremely diverse estuaries, waterways, flats, and with a direct feed from the Gulf. Many of Florida’s top inshore species call this area home all year long. At the same time, this area is also along many migratory paths for many popular seasonal species as well. All year long anglers can expect shots at redfish, sea trout, flounder, snapper, and grouper (to name just a few). While seasonally snook fishing is a common favorite, as well as targeting Florida’s famous tarpon. Fishing for these species can take place while sight fishing the flats, by exploring the backwater ways amongst the expansive mangrove systems, or by patrolling the waters just of the may local beaches. No matter what time of year, or the species you may be looking to target specifically during your fishing trip – New Port Richey should be at the top of your destination list. Southern Outdoor Sporsmen is your go-to guide service here in New Port Richey, and we hope to get you on the water here soon!